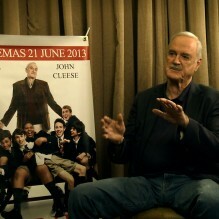 A sit down with the legendary actor “John Cleese” to discuss his latest project, “Spud 2: The Madness Continues”. We grilled him on the movie, his approach this time around and his onscreen chemistry with his fellow cast mates. The Vent sat down with the lead actor of Spud “Troye Sivan” a.k.a Spud, to discuss the second instalment of the franchise.